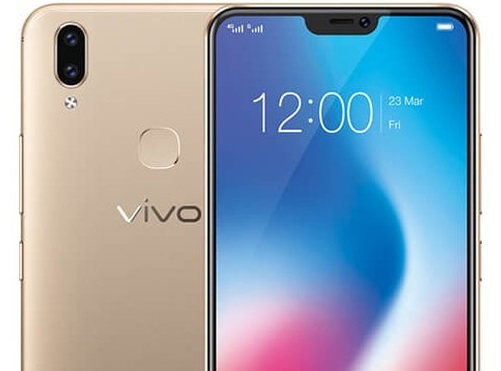 Vivo V9 has similar-looking notch like Apple’s IPhone X and bezels-less display. Vivo had introduced the first smartphone with an under-the-display fingerprint sensor. It will have FullView 2.0 technology with 19:9 aspect ratio display , dual-camera with 16 MP camera sensor with an f/2 aperture and a 5 MP camera sensor. The 5 MP helps with ‘Real Bokeh’ mode. It has Rise to Wake Feature. It will automatically pick up the calls, When we put your Vivo V9 to your ear. The Face unlock feature on the V9 will be enabled as soon as you pick up the phone. You can use it for unlocking the apps as well. Vivo V9 will have the Snapdragon 626 SoC powering the device with 4 GB RAM and 64 GB internal storage. Also there is an option to expand the Storage. It comes with ‘AI Face Access’ with improved accuracy of face unlock and ‘AI Attention Sensing’ where the device will detect if you are looking at the screen of the device. It has Battery capacity of 3260mAh, 4G VoLTE, Wi-Fi, Bluetooth 4.2 , microUSB 2.0 and Funtouch OS 4.0 ( Based on Android 8.1).